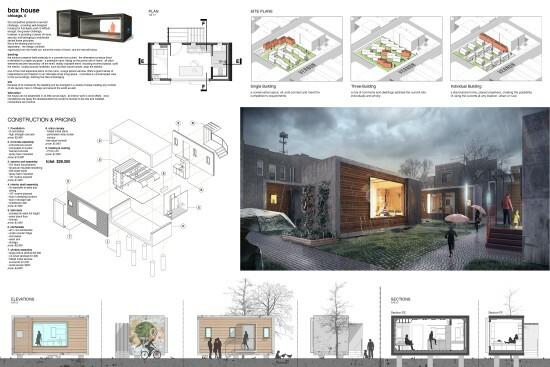 The winners of the Chicago AIA’s tiny house design competition were announced recently. 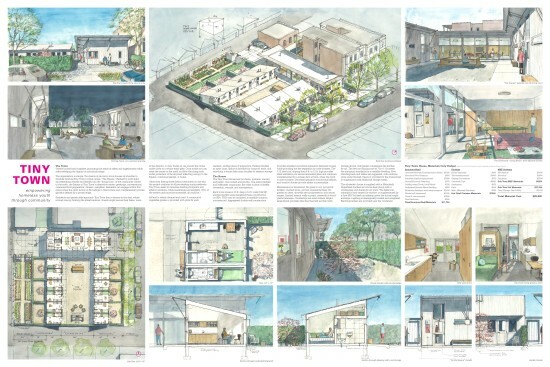 Launched in November 2015, the competition solicited entries to address young adult homelessness in Chicago as part of the Tiny Homes Summit. 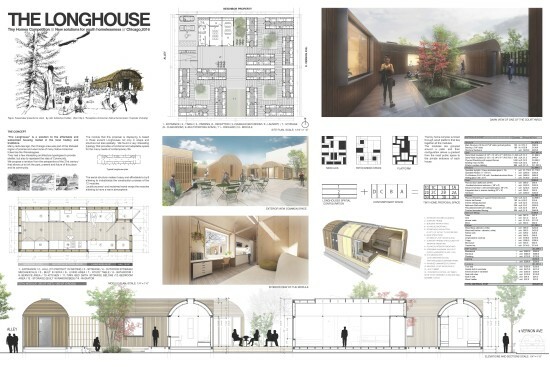 The winning entry, “A House for Living In,” is composed of 11 336-square-foot units and one interior community space gathered around a central courtyard. 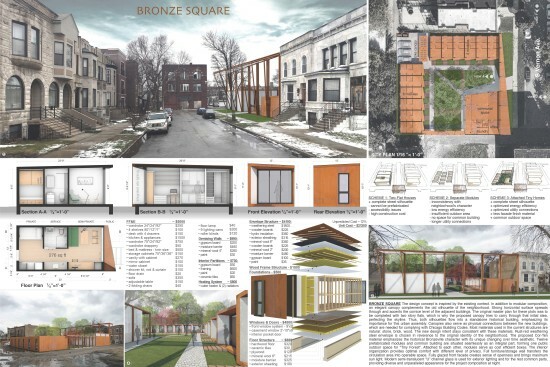 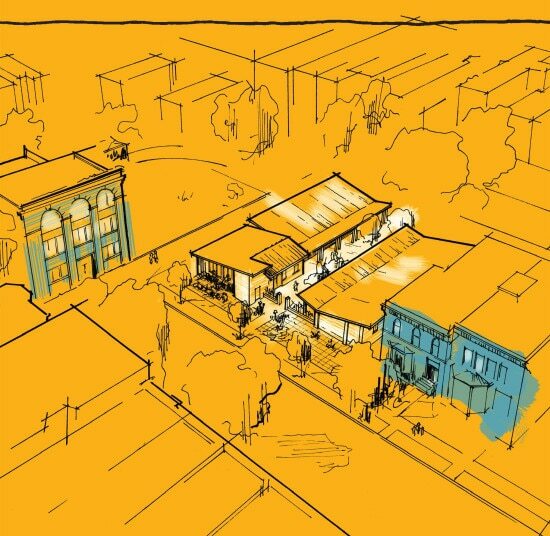 The project costs an estimated $73 per square foot, which is substantially less expensive than typical affordable housing, which is in the range of $200-400 per square foot, according to the AIA’s press release. 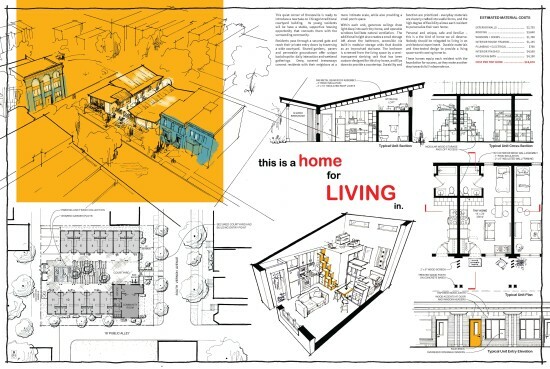 A prototype of “A House for Living In” will be constructed for the Tiny Homes Summit at the University of Illinois at Chicago on April 18 to 19.